Warner Commercial is pleased to share a sneak peek at the new location of Woodsboro Bank's Commercial Lending Offices to the iconic Second & Market building. Scroll through the pictures to see the finished product, other tenants and before pictures. Join them! One suite left - http://warnercommercial.com/properties/154-north-market-street-suite-201-2787. This beautifully renovated Art Deco style building on the corner of Second and Market Streets is the expanded home of Woodsboro Bank's commercial lenders. Moving into the second floor corner offices and joining Main Spring, Cakes to Die For, Industrial Home, Fitzgerald Realty and others, Woodsboro Bank is excited to continue offering their services in downtown Frederick. "This move provides Woodsboro Bank with a premier location in historic Frederick to expand our commercial banking and business development capabilities," said Steve Heine, President and CEO of Woodsboro Bank. "We wanted to stay in downtown Frederick, and working with Warner Commercial was a key factor that enabled us to make this important move for our bank's future." 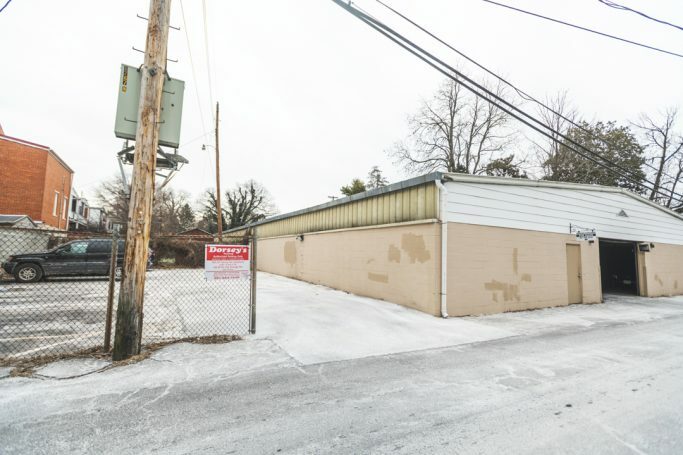 Warner Commercial was the sole broker in this transaction working as the listing and leasing agent. We strive to develop lasting relationships, and implement a win-win approach to leasing for tenants like Woodsboro Bank and landlords. Have a property to lease? Or looking to make a move or grow your business? Work with us and let Warner Commercial assist you with your commercial real estate goals. Give us a call today at 301-663-0202. Questions?If you would like some more information on Second & Market - Suite 203, please fill out the form below.